Enterprise resource planning (ERP) software is the backbone of modern manufacturing information systems, enabling the digital transformation that’s changing operations and customer expectations. As the movement toward a digital workforce evolves, your ERP system must keep pace. 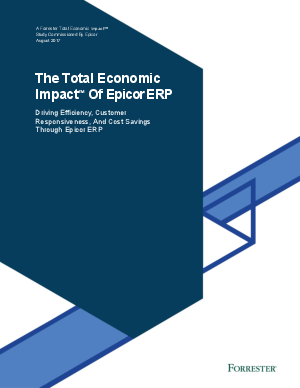 Read the study to find out how else Epicor ERP has helped manufacturers.